A new study has found that a deep alignment with the United States of America diminishes the moral gap between liberals and conservatives. The findings appear in the journal Political Psychology. “In our polarized era, it is often easier to focus on differences between liberals and conservatives, especially when it comes to moral issues. Instead, we were interested in investigating when those differences might actually be smaller than expected,” said Sanaz Talaifar of the University of Texas at Austin, the corresponding author of the study. From 2015 to 2017, the researchers surveyed 919 Americans via Amazon’s Mechanical Turk regarding their foundational moral values, political orientation, and other factors. The participants consisted of 266 self-identified Republicans, 450 Democrats, and 198 independents/other party. “Conservatives tend to care more than liberals about group-oriented values like loyalty and authority. Conservatives also tend to be more sensitive to threats in their environment than liberals. 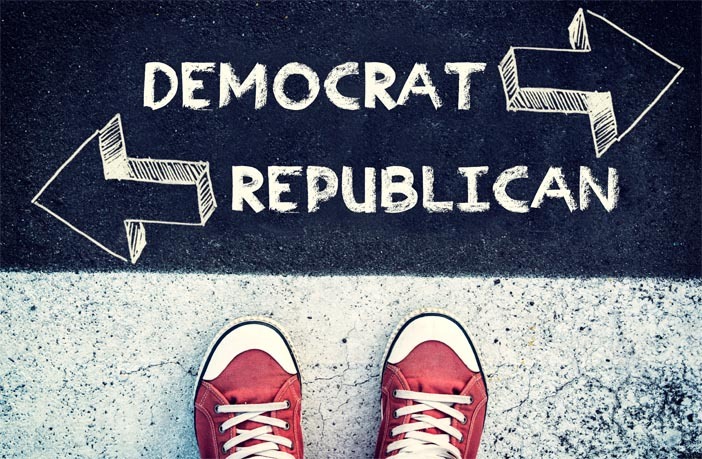 However, we found that when you compare conservatives and liberals who both feel deeply aligned with the U.S. those differences no longer emerge,” Talaifar told PsyPost. Conservatives and liberals in the United States also ended up finding some common ground when it came to how threatened they felt. “We also conducted some exploratory analyses of perceptions of threat to supplement the main findings described above. We found that conservatives felt more threatened than liberals in the week before the 2016 presidential election, which is not entirely surprising since their candidate was expected to lose (and conservatives generally feel more threat overall),” Talaifar explained. The study, “Deep Alignment with Country Shrinks the Moral Gap Between Conservatives and Liberals“, was authored by Sanaz Talaifar and William B. Swann , Jr.